Walked out to a power line row about 50’ behind my hives and saw this. Lastfling, I moved your post to this location as it seemed more appropriate. Great pictures, Lastfling! Thanks for posting. 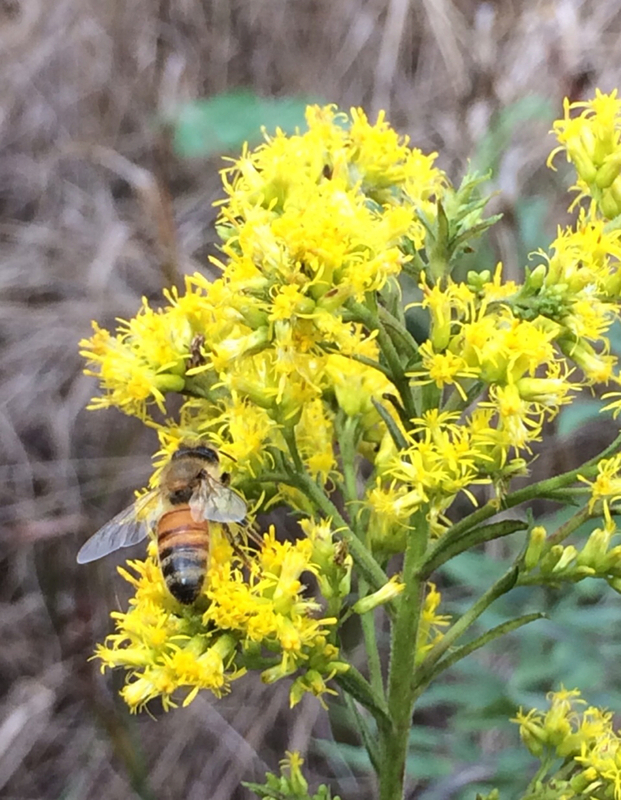 Do you know which variety of Goldenrod that is? There are about 200 varieties of Goldenrod across North America. 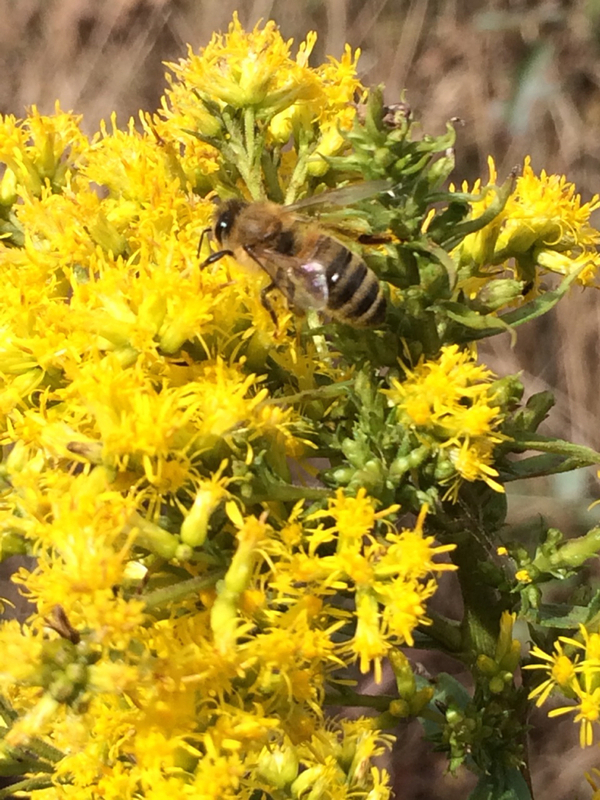 The goldenrod that flourishes here, in pastures and roadsides is not attractive to honey bees. Stiff Goldenrod is and I am looking for some seeds. 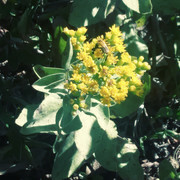 These pictures are of Stiff Goldenrod. I took these last Saturday. No problem on the move. sorry, can't remember what species they are ! 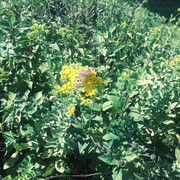 btw bakers, awesome photos of the goldenrod!